UN Women has selected Schneider Electric to join the HeForShe IMPACT 10x10x10 pilot group. This selection comes following the 2015 Leadership Award won by Schneider Electric for its action in favour of gender equality, as part of the Women's Empowerment Principles (WEP) from UN Women and the Global Compact. HeForShe is a solidarity movement by UN Women in favor of gender equality. HeForShe’s mission is to encourage men to support change in favor of diversity and women's rights. The overall objective of HeForShe is to mobilize "a billion men by September 2015" to help communities around the world to design sustainable change programs in favor of gender equality. HeForShe was launched on September 20, 2014, with an initial campaign targeting individuals. UN Women accelerates the movement with a new initiative: IMPACT 10x10x10. This project aims to involve 10 governments, 10 companies and 10 universities throughout the world in the movement, so as to create an initial pilot group. Government officials, civil society organizations, along with universities and schools make real commitments to defend, measure and promote gender equality. IMPACT 10x10x10 also provides a basis to encourage new public and private organizations to become part of the HeForShe project. The companies already members of the IMPACT 10x10x10 pilot group are: Accor Hotels, the Koç Group, PricewaterhouseCoopers, Tupperware Brands, and Unilever. 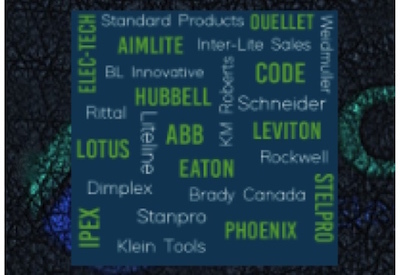 Schneider Electric is now a part of this group. "Our ambition is to become one of the most diverse company. At Schneider Electric, we value differences and offer equal opportunities to everyone, everywhere. Identifying, developing and attracting female talents is a business imperative and is high in our agenda for the coming years. We strongly believe we will make significant progress only if our male employees commit to becoming spokespersons of this transformation by advocating gender equality. Joining and promoting the HeForShe IMPACT 10x10x10 program is a great opportunity to accelerate our program and contribute to society”said Olivier Blum, Chief Human Resources Officer.